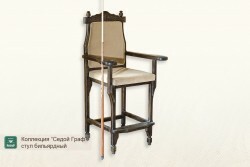 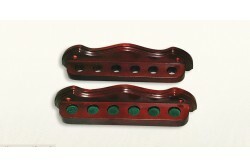 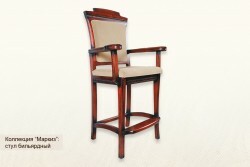 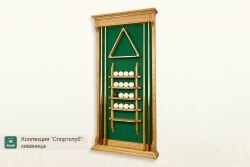 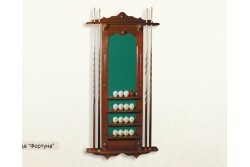 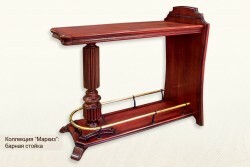 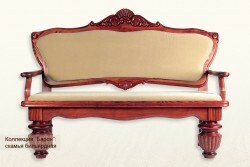 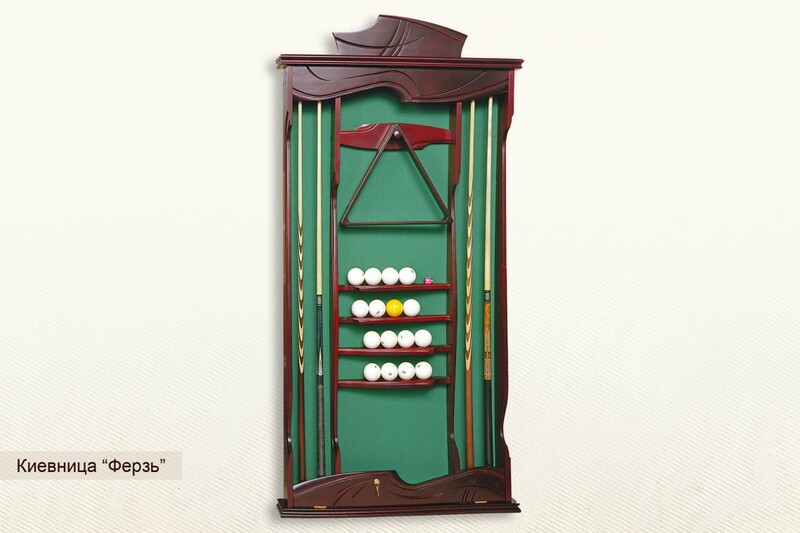 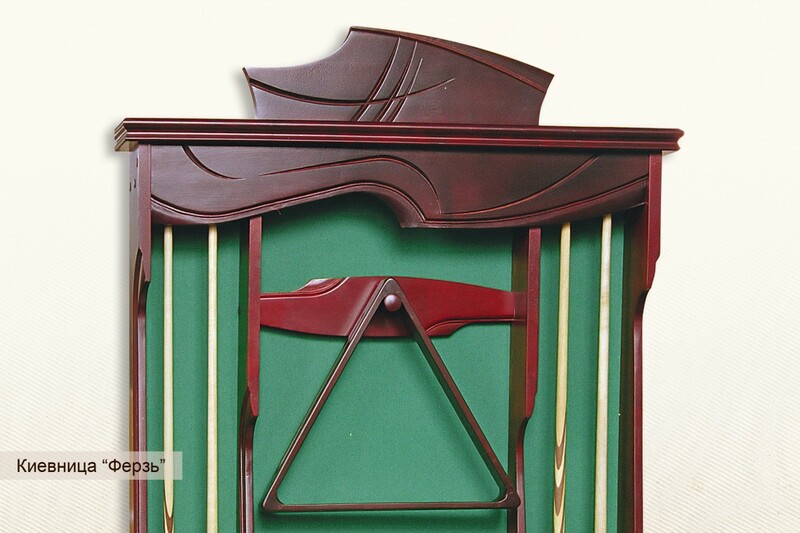 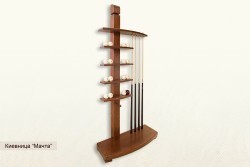 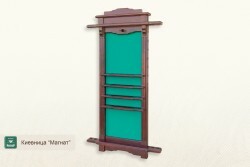 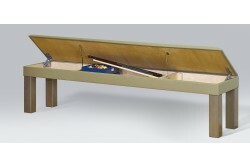 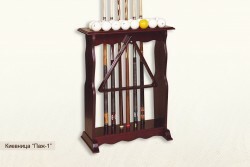 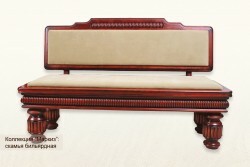 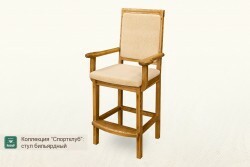 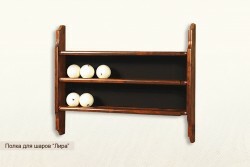 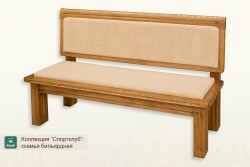 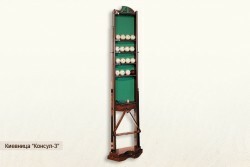 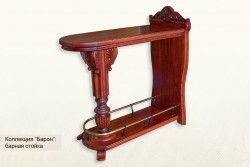 > Cue Racks and Billiard Furniture>Wall Rack, with cloth "Queen"
A large four cue wall-mounted rack. 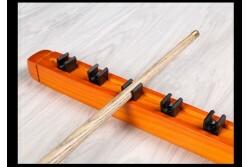 All the cues are positioned bolt upright to preserve their linearity. 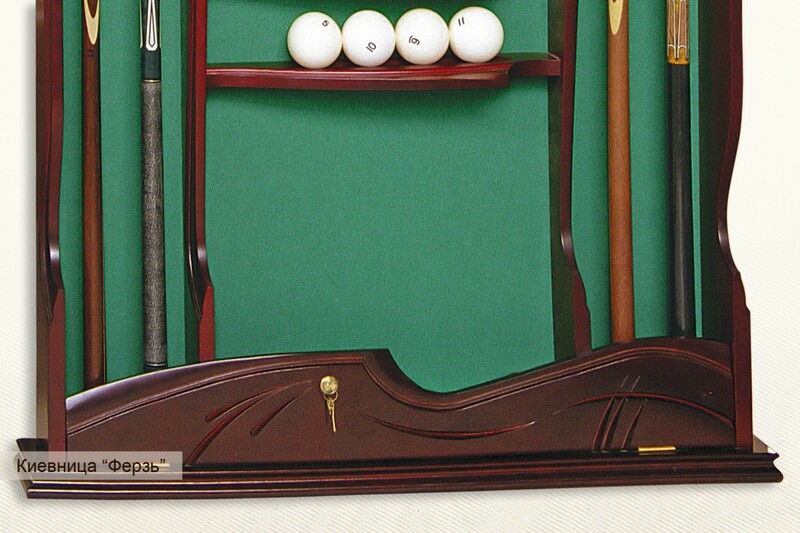 Four little shelves are designed to accommodate the balls and keep the score during the game, while the upper cue rack part has a special hanger to hold the triangle. 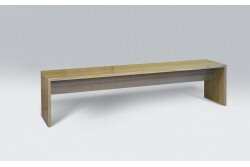 elite solid birch, ash or oak without veneering. 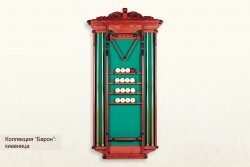 Overall size, mm: Pool 920 x 1720 x 155 (WxHxD), Pyramide 920 x 1920 x 155 (WxHxD). 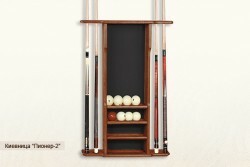 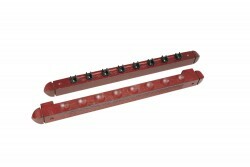 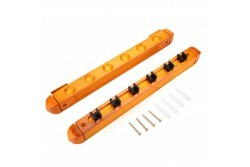 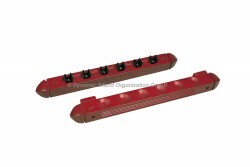 Cues, balls or a triangle are not included in the cue rack delivery set.